Winter can be a tough time. It has been icing and snowing day after day here for a month straight and everything has been canceled a LOT! Cabin fever can set in fast!! However, winter can also be a nice time to really connect with your family. Why? You are often stuck inside TOGETHER! You might as well make the most of it! This is a great time to have great conversations with your kids, play games, and just savor the time you have with each other. The best memories can be made during this time! 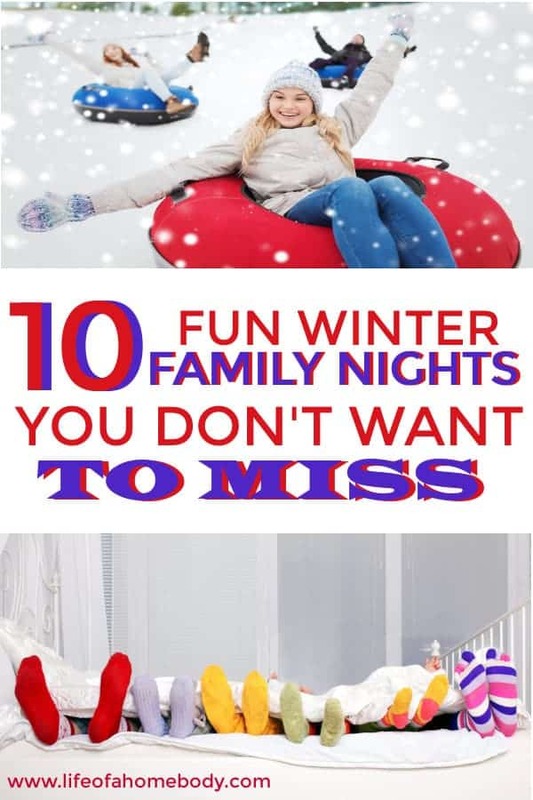 I wanted to share some ideas for planning winter family nights that we have enjoyed. Here are 10 of our favorites!! 2. Wii Nights – We have so much fun with our Wii-to me it is the best gaming system for family play. A great game of bowling, Wii music or even a little dancing will have your family laughing and enjoying great times together! 3. Museum Visits – Sometimes we change family night into family day because there is just something we really want to do that is only open in the day. This usually has to be a Saturday so the whole family can participate. Museums are great in the winter because you are inside enjoying something together and staying warm. You can even stop for ice cream to make it an extra special treat. 4. Tent-Making – My kids LOVE tents. Enjoy this while they are young, they won’t want to do this forever! My husband has made some of the great tents on family night right in our living room. Make them out of sheets, blankets, or anything that you have that will work. There is just something special about being snug in a tent that kids love. You can read books in there together, watch a movie, have snacks, listen to a great audiobook, and more! Yes, it makes a mess for a while but messes clean up-enjoy these moments! They will be gone way too soon. 5. 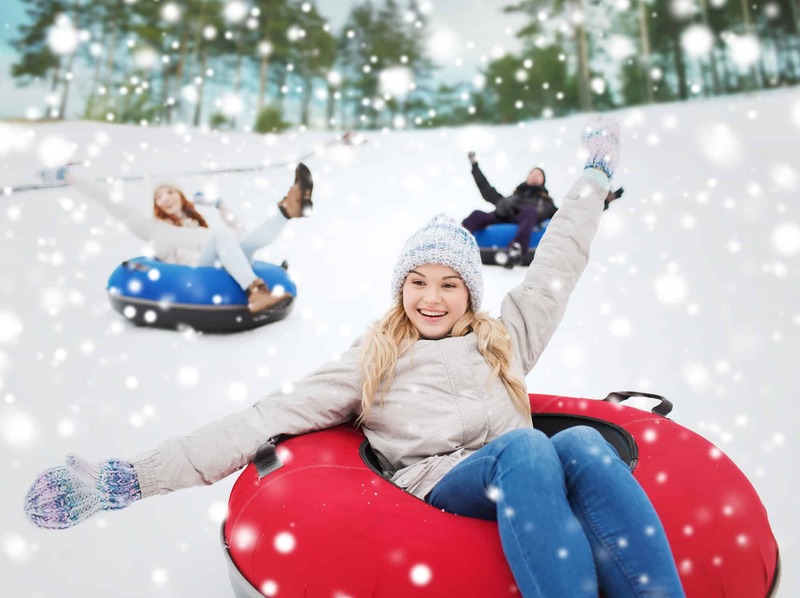 Playtime in the Snow – build a snowman, have a snowball fight or go sled riding. Once you get back inside, make hot chocolate or snow ice cream! The kids will LOVE it! If it is scheduled in as a family day or night you will be more likely to make it happen! 6. Movie Nights – I have so many memories of the great movies my family have watched together on family nights. We always get out the blankets, make the popcorn, and cuddle in for a night of movie watching. Now with Netflix and Redbox, it is so easy to have a great movie night! If you are new to family nights, this is an easy one to start with!!! 7. Kitchen/Baking – Have a baking/cooking night together. Grab a kid’s cookbook and let them create or make something you have seen on Pinterest together! GREAT conversation time, plus the pride that comes with creating a masterpiece of something that screams YUM!! 8. Creating Something Together – it may be crafting/scrapbooking or building Legos (this is the perfect time to help a child build something you have been promising to help them with! 9. Watching Home Videos -my kids LOVE watching old home videos. Have you done this yet? They love seeing themselves when they were little, what our house used to look like and seeing loved ones (including past pets) that have passed on. My kids still get to see the grandmother that they loved so much who is home with the Lord now. They get to hear her laugh and see her. It is so great keeping her memory alive for them! Winter doesn’t have to be so dreary and depressing when you just look at it from another perspective. Look at it as a time to bond and get to know each other even better and don’t forget the important part! HAVE FUN!! WANT TO REMEMBER THIS? 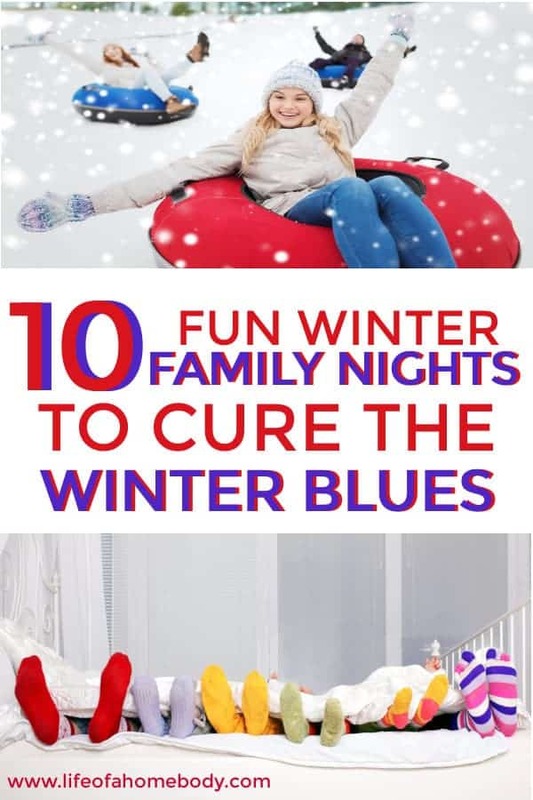 SAVE THE WINTER FAMILY NIGHT IDEA LIST TO YOUR FAMILY PINTEREST BOARD! Thanks so much Kelly, I appreciate your support SO much! Thanks for your kind words! These are fantastic ideas! I especially like the making tents idea – how fun is that? I also love the family Wii games – we were hooked on bowling for awhile!